– Hey man, what’s metaman? – Metaman is a drawing, dude! Metaman was born during the military service, without any technique or special skill on the subject, firstly as a joke which turned out as a habit and finally became a need. 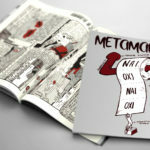 Sometimes talking in first person, and others in third, in strips or comics and lately in a single image, following the cartoonists’ tradition, metaman has the ambition to say exactly what he thinks without any second thoughts. 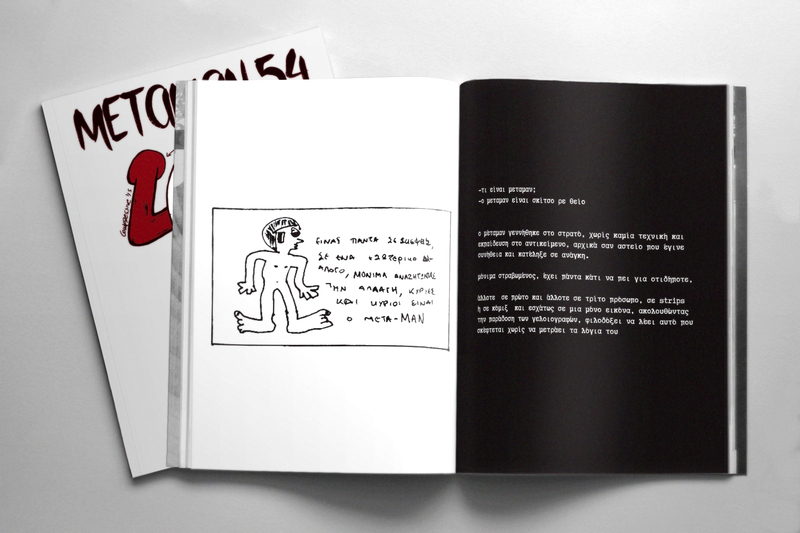 Metaman is a cartoon hero who used to be published online, but now he decided to be printed at last. 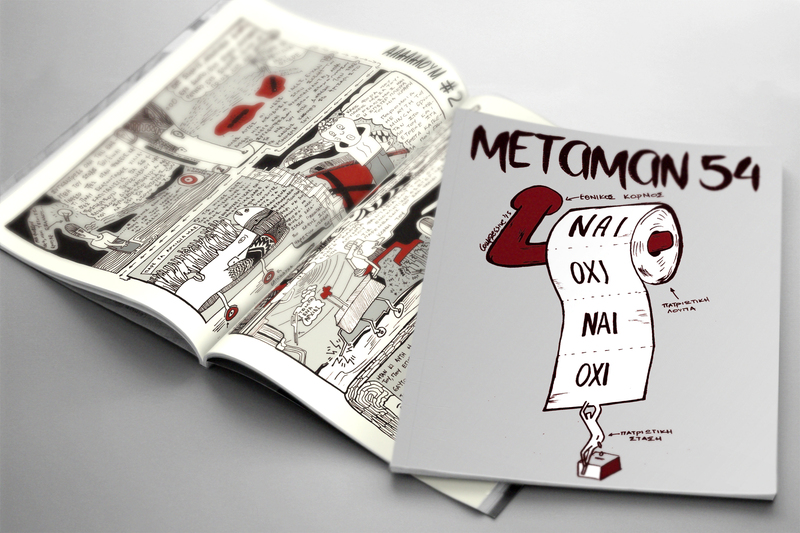 We created 120 b&w pages with Metaman stories, with the centre spread using two colors (black and red).Besides creating the cartoons, we dedicated ourselves in creating the layout suitable for a punk cartoon hero like METAMAN.